This dress is quickly becoming a favourite in the boutique. 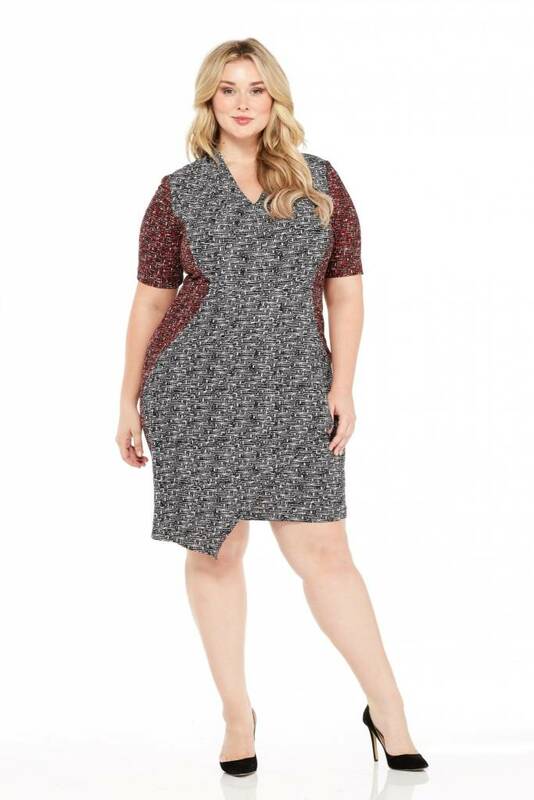 The Maxine Sheath is the ultimate workwear wonder. With a subtle print in a go-to neutral color, this staple piece has an asymmetrical hem and a classy v-neckline. It shows off the shape and minimizes trouble spots. It falls to the knee (the model is 5'10") and has an exposed back zipper for interest. It is fully lined and is stunning on the body.